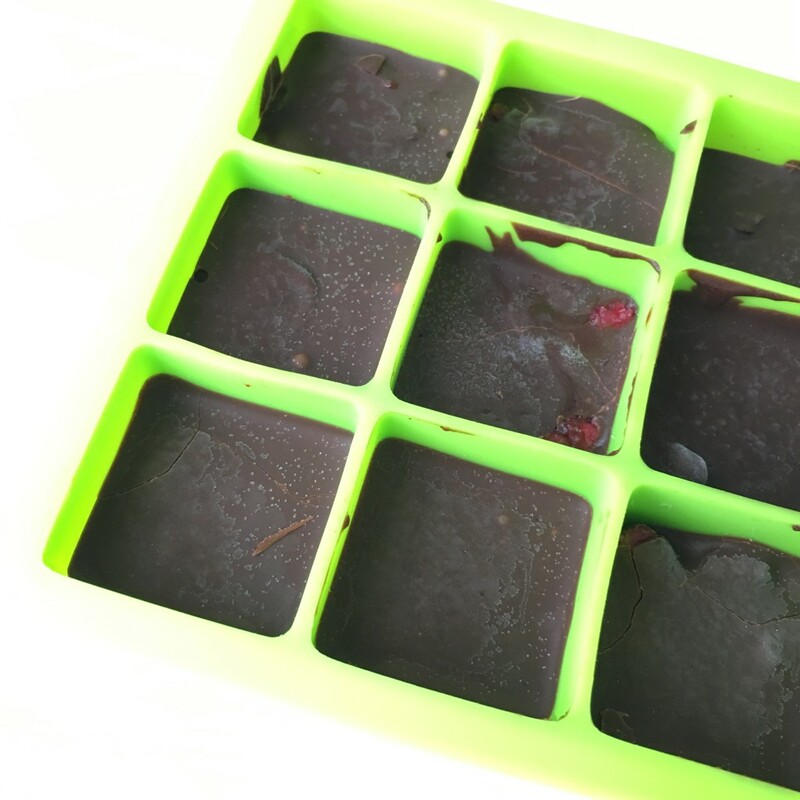 These 2-ingredient freezer chocolates are so simple, you don’t even really need a recipe! I made these in an ice-cube tray, but feel free to use any container or candy mold. 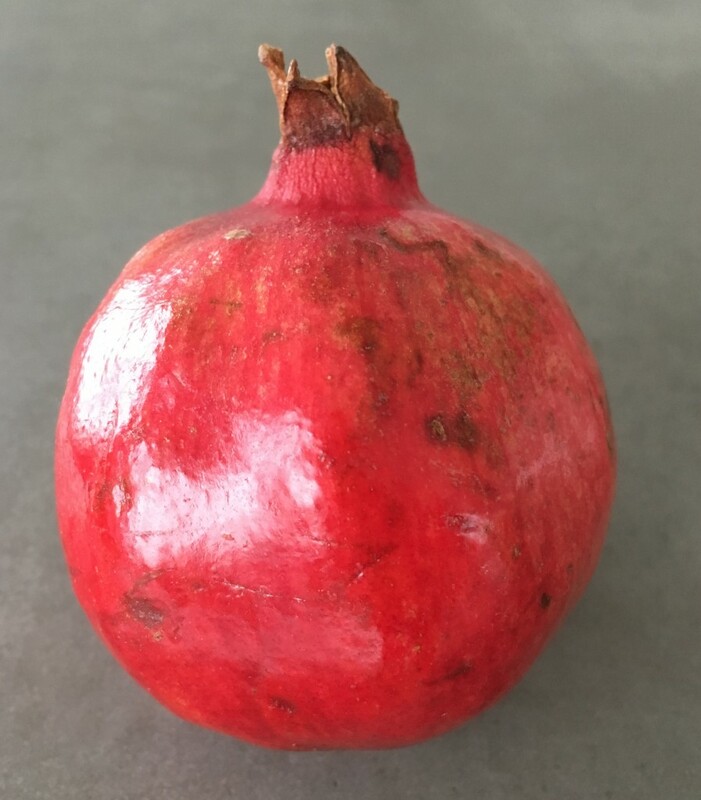 Firstly, let’s go over how to prep the pomegranate. 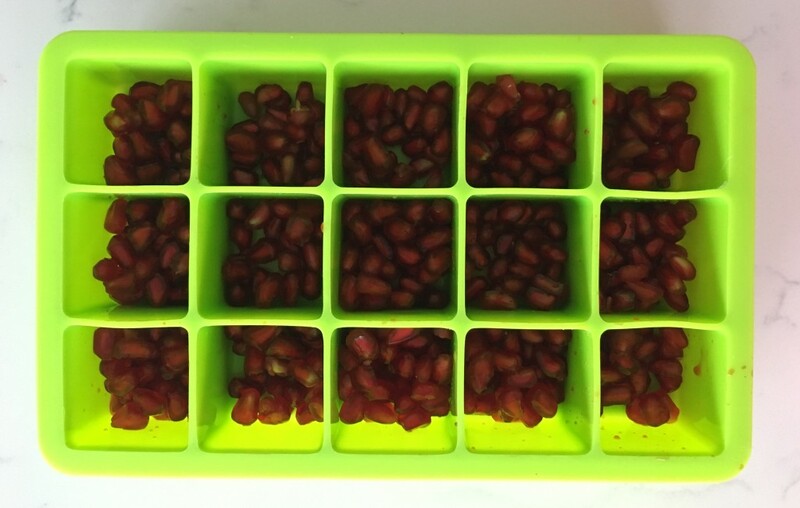 Getting those little seeds out of the pomegranate is undoubtedly the hardest part of the process. 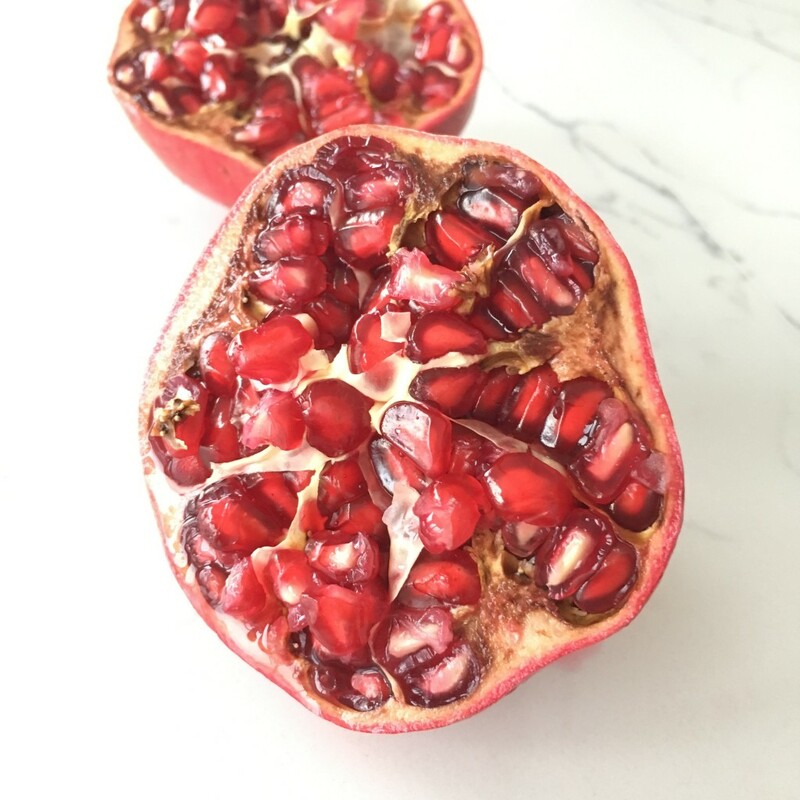 Pomegranates are a super-food with a high antioxidant content, fabulous flavour, fibre and colour! 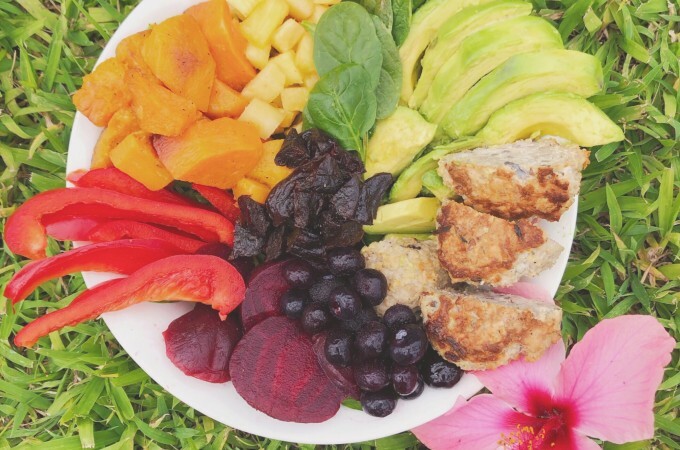 Forget the dried cranberries that are full of SUGAR – these beautiful seeds are a perfect fall or winter salad topper. 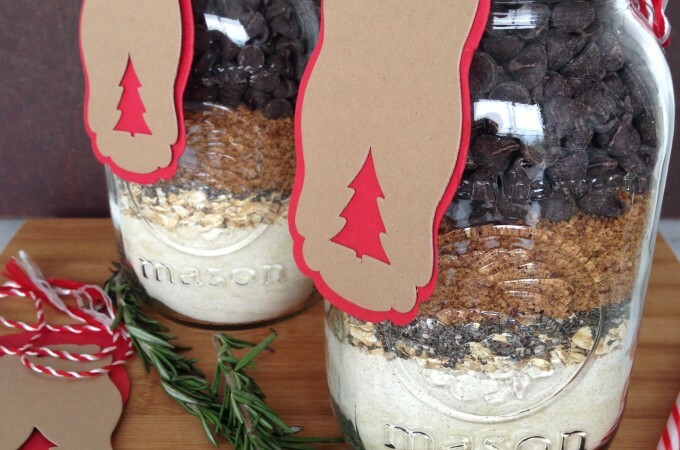 I’m sure many people avoid buying them just because they are so awkward to peel and eat….well fret no more! 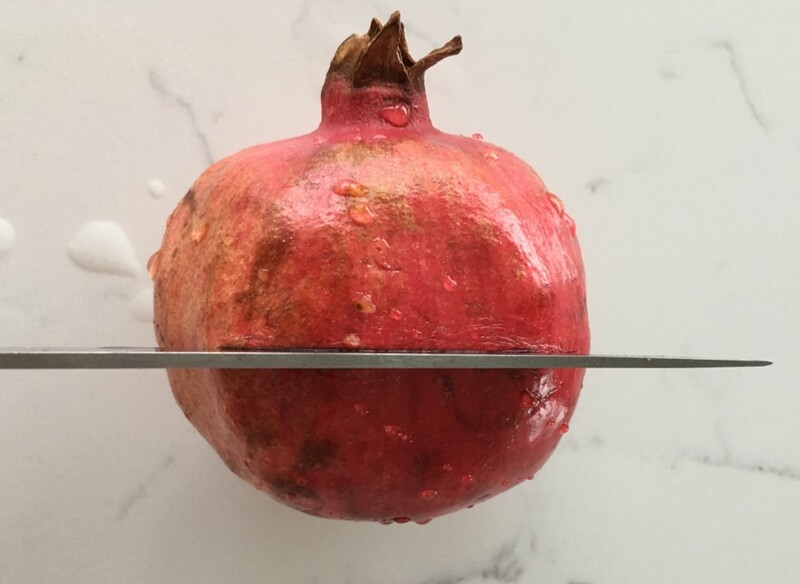 See below for my pomegranate peeling hacks: First, cut the pomegranate lengthwise. 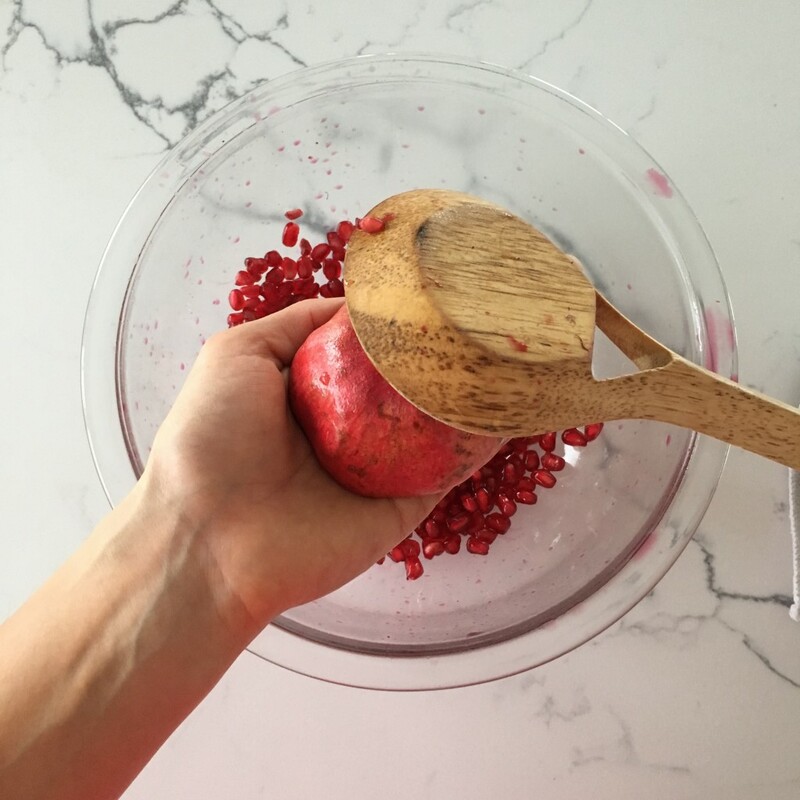 Twist open the pomegranate into two halves From here, grab a bowl and a wooden spoon and start hitting the pomegranate. 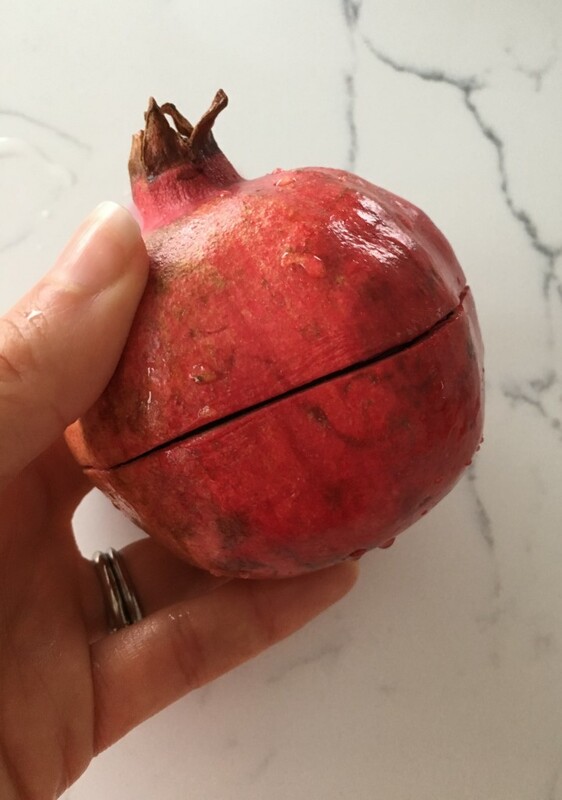 This is a good opportunity to get some aggression out, but be careful Hold the pomegranate half in one hand, and hit the outer shell with a wooden spoon until all the little seeds or arils come loose. This should get most of the seeds loose, although there may be a few left in the skin. Just make sure you’re not wearing a nice shirt in case the seeds spray in the wrong direction. 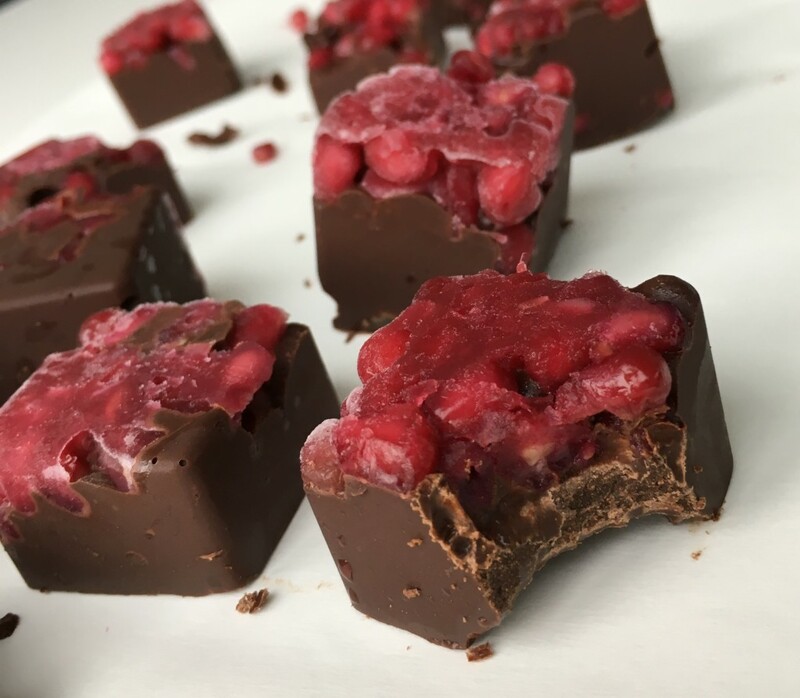 Now that the hard work is done, find your ice cube tray or mold, chocolate and off to the races you go! 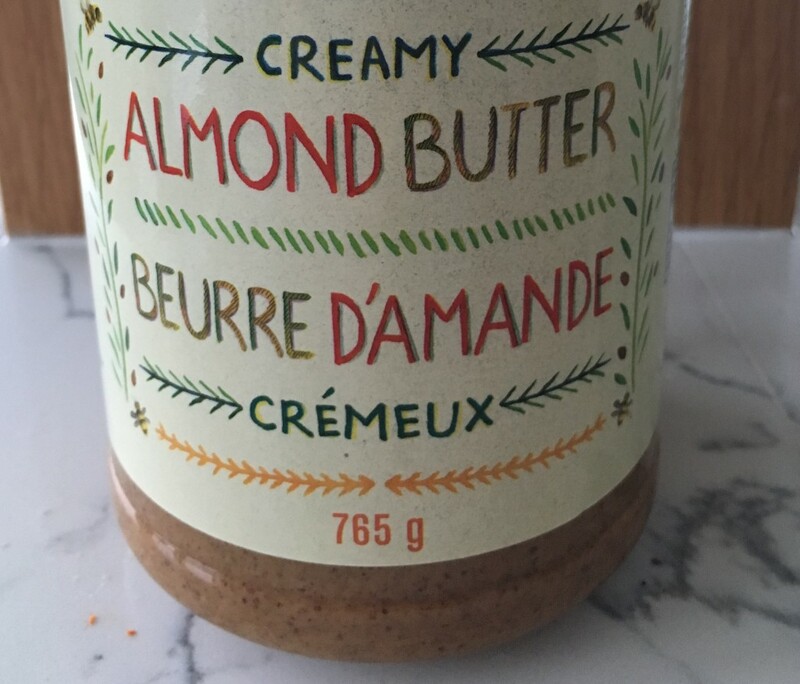 If you’re looking for a little extra flavour, I would recommend melting a little almond butter or peanut butter into the chocolate chips 1. 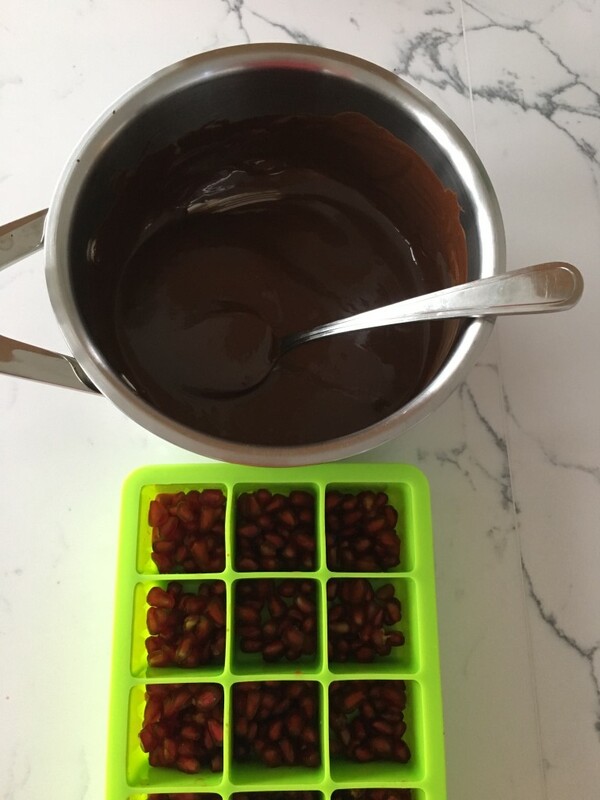 Place some melted chocolate (with or without nut butter) in the bottom of the mold. I started with about 1 cup of chocolate and 1/4 cup nut butter. 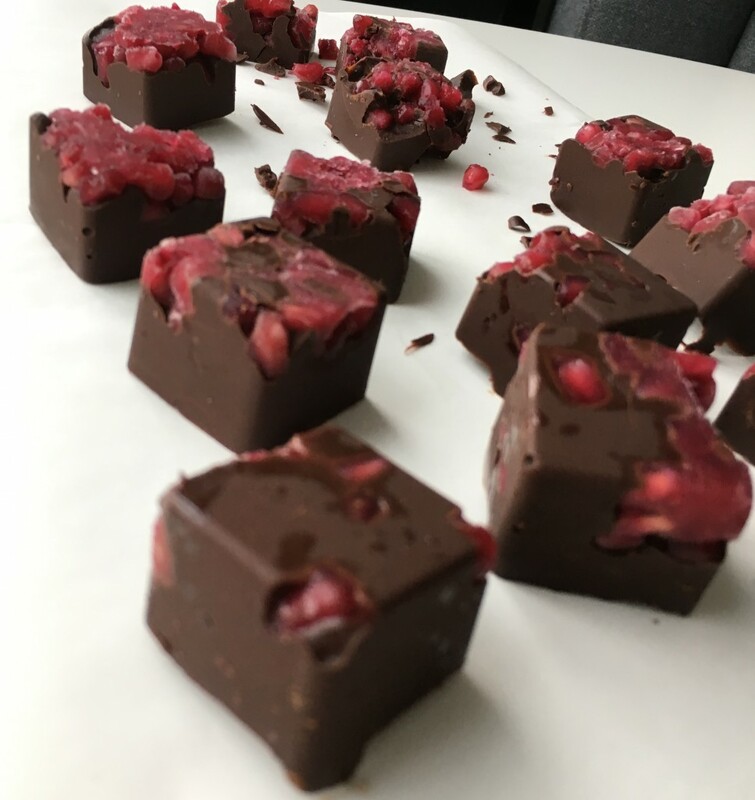 Adding 1-2 tsp of coconut oil may also help when melting the chocolate. 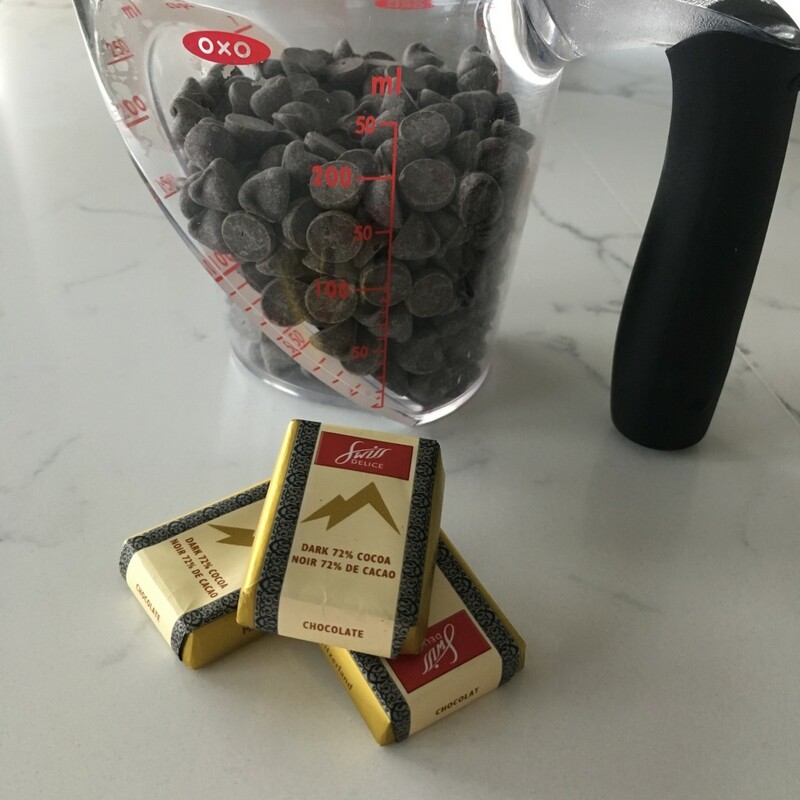 If melting chocolate over the stovetop, remember to keep the temperature low as chocolate does burn easily. 2. 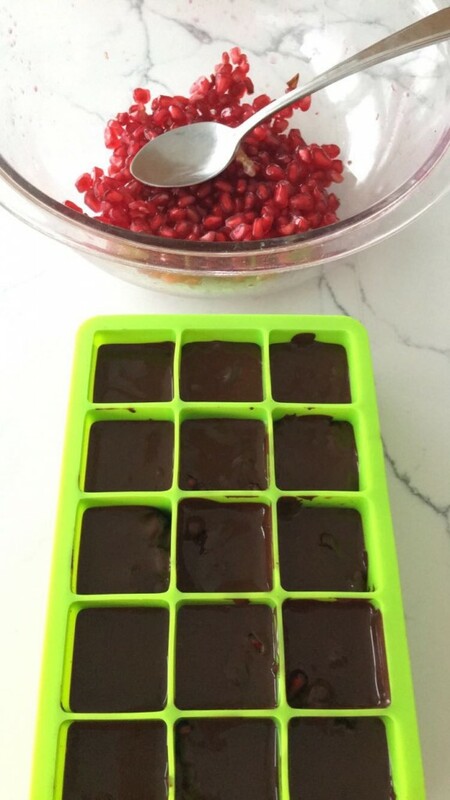 Add a few teaspoons of pomegranates to the chocolate base. 3. Top with the remainder of the chocolate and set in the freezer. 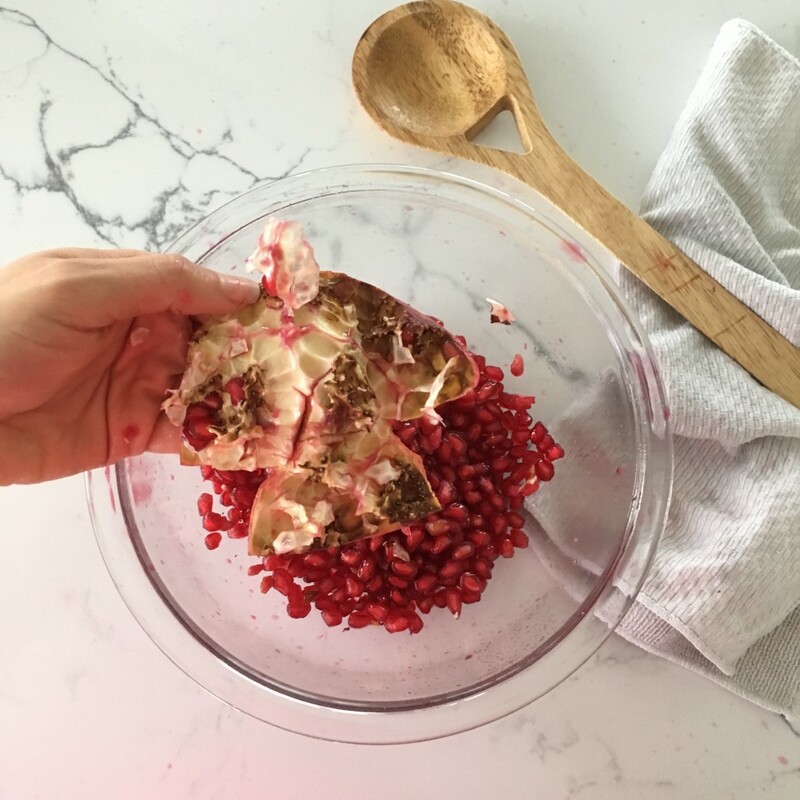 Try the leftover pomegranate seeds in a salad or use as a topping for yogurt or oatmeal. Set in the freezer for at least 1-2 hours. They will keep in either the fridge or freezer. 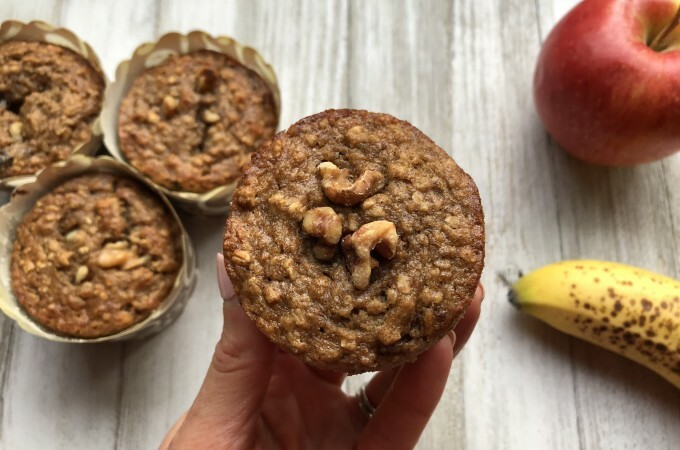 Serve at room temperature when they’re ready to go. Now the challenge is wiggling these guys out nicely so they maintain their shape. Patience is key! For this batch I was a little impatient (big surprise!! 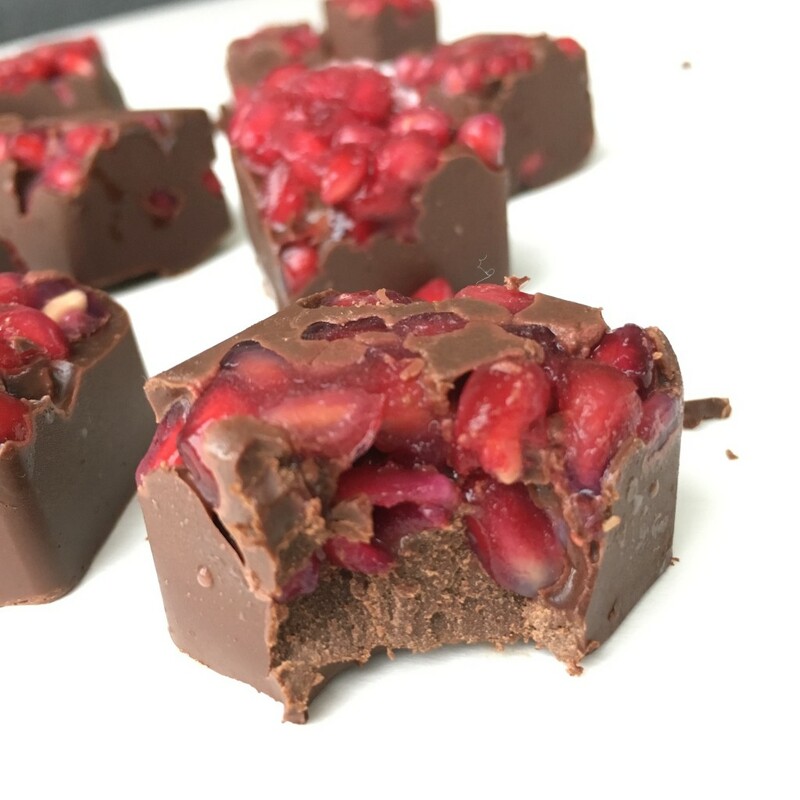 ), and I put the pomegranates in first without the chocolate. It’s up to you how you make them, but perhaps it would’ve been best to start with that layer of chocolate first Happy candy making! !